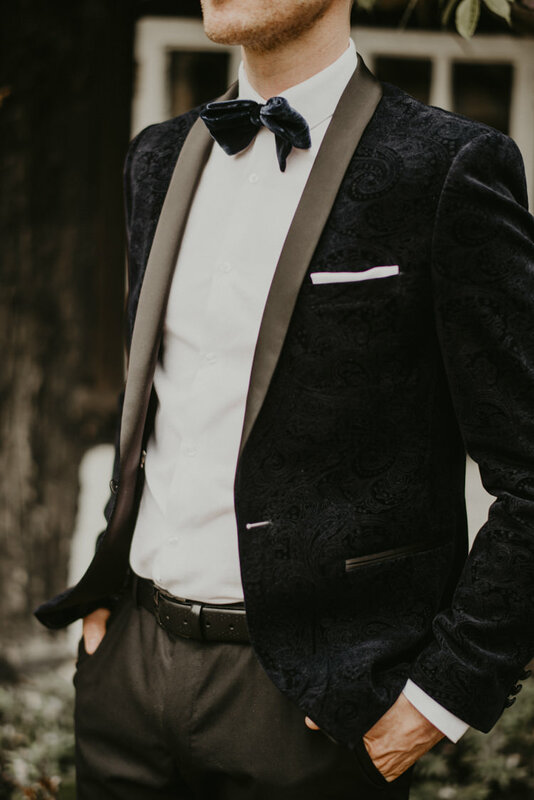 Style in spades here this morning lovelies. 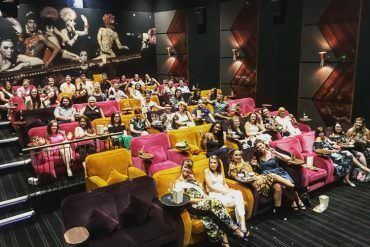 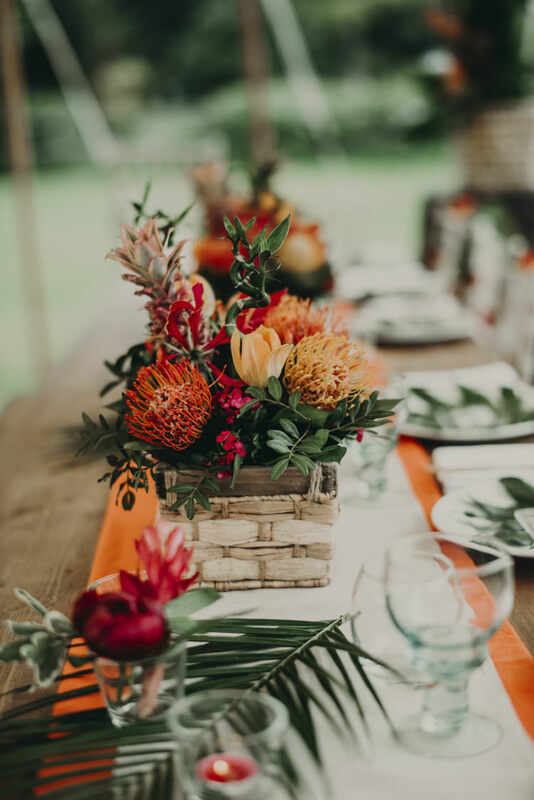 Whether you are planning a sizzling destination affair or a cosy luxe winter celebration, the tropical trend can suit any season. 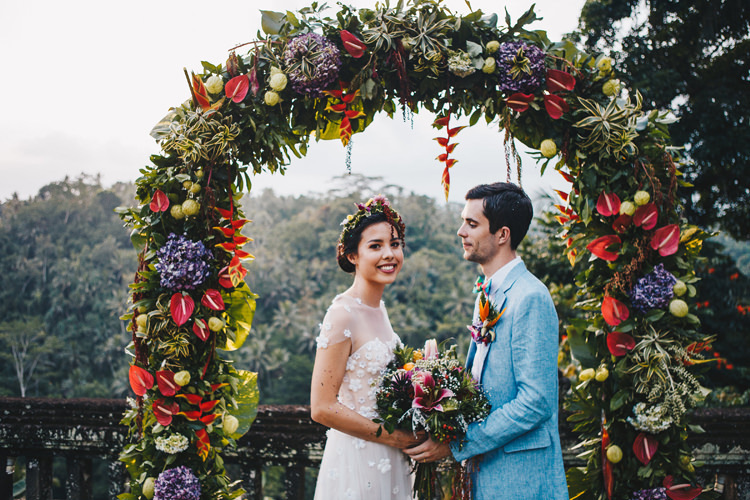 What’s not to love about statement palm leaves, vibrant hues and stylish attire as seen here? 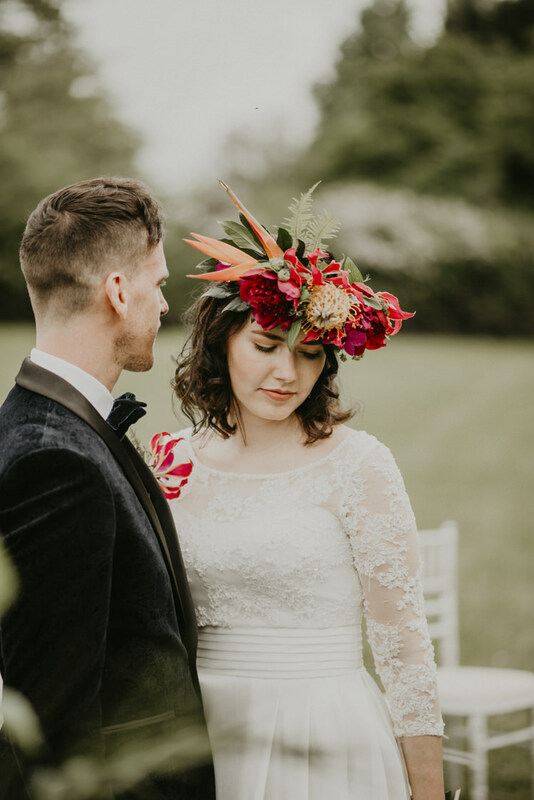 The models don beautiful outfits, with our groom in velvet and the bride wearing a striking flower headdress. 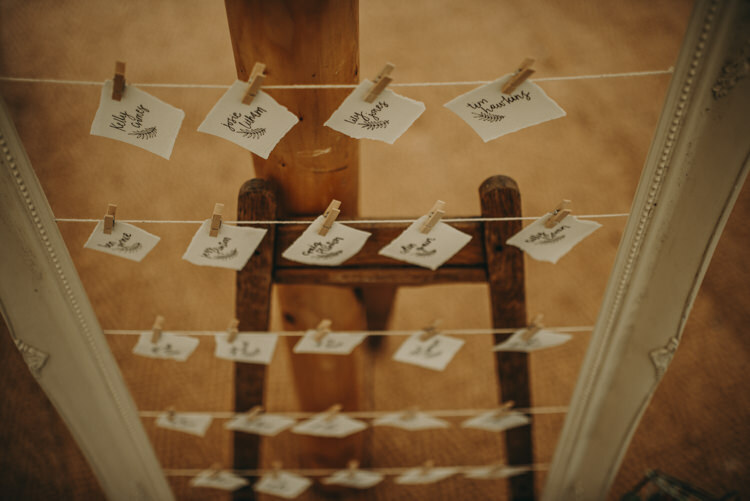 Then there is the whimsical stationery, I really love the acrylic place names especially, such a modern and chic idea. 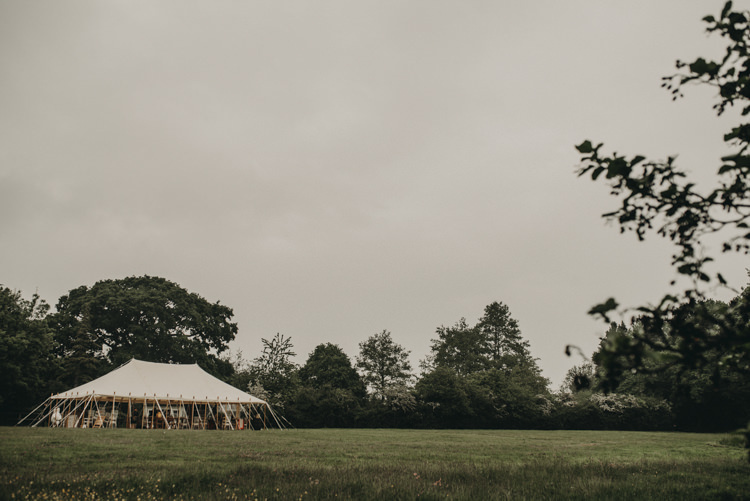 It doesn’t end there though, with an ombre cake, beautiful bouquet and magnificent pole tent marquee. 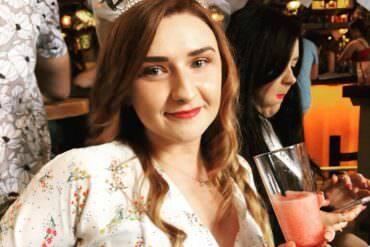 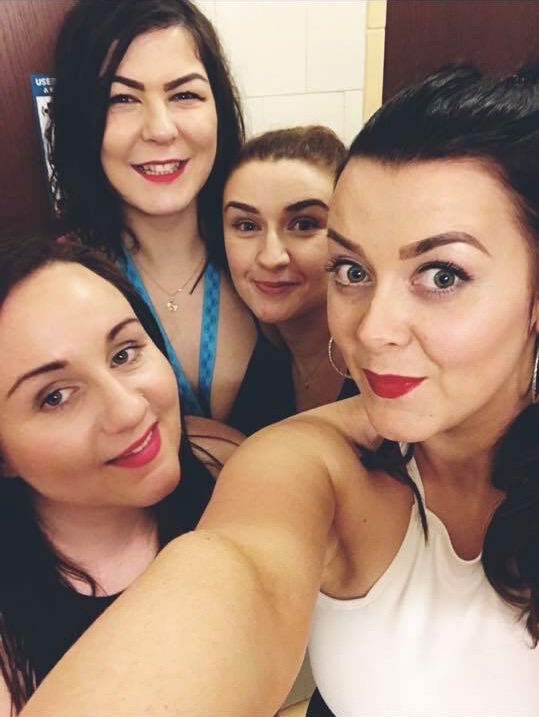 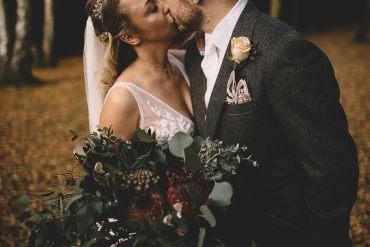 All created by Nicola Austin Weddings and Events and captured perfectly by Foto Memories. 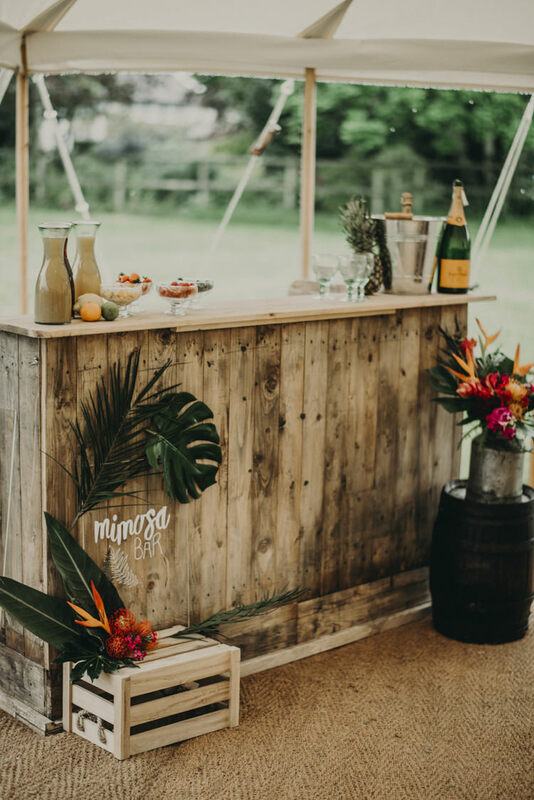 “Who said you couldn’t create a little corner of the Caribbean in the West Sussex Countryside on a slightly dame Wednesday in May? 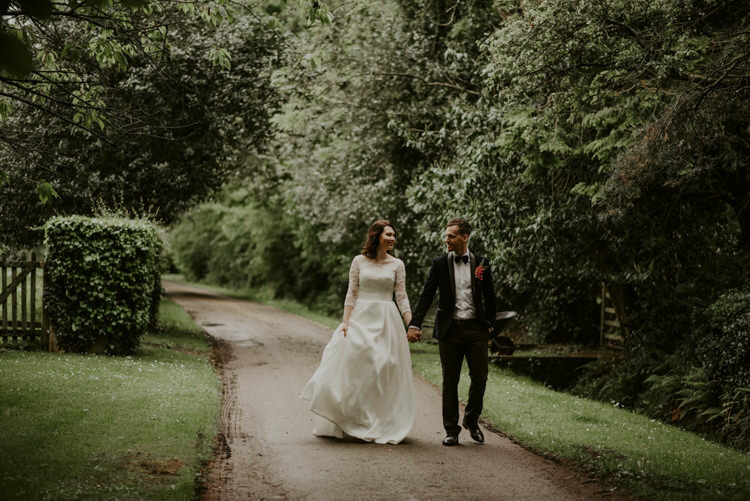 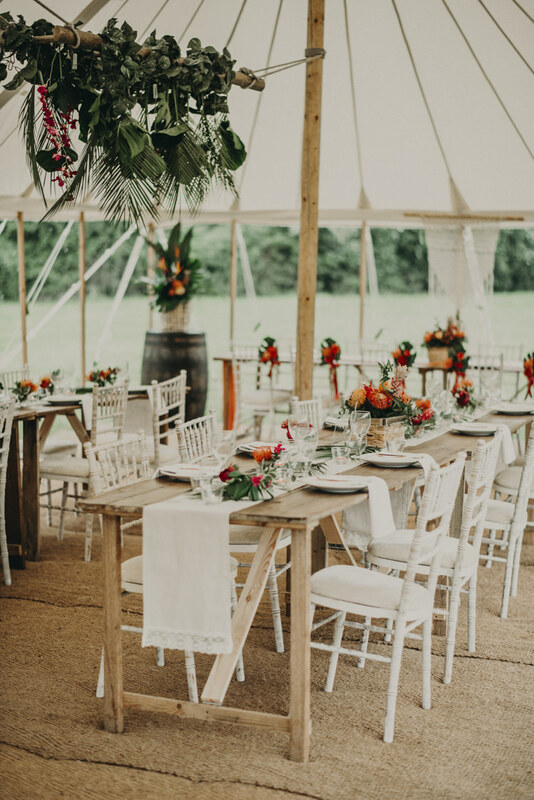 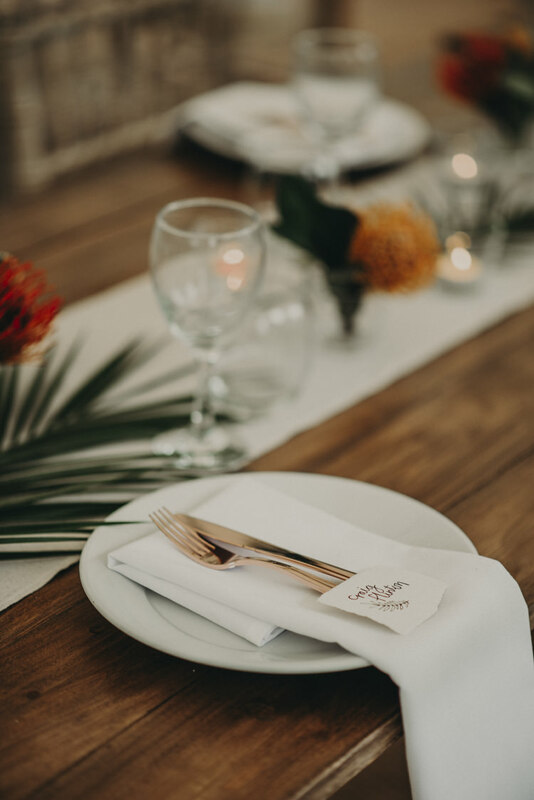 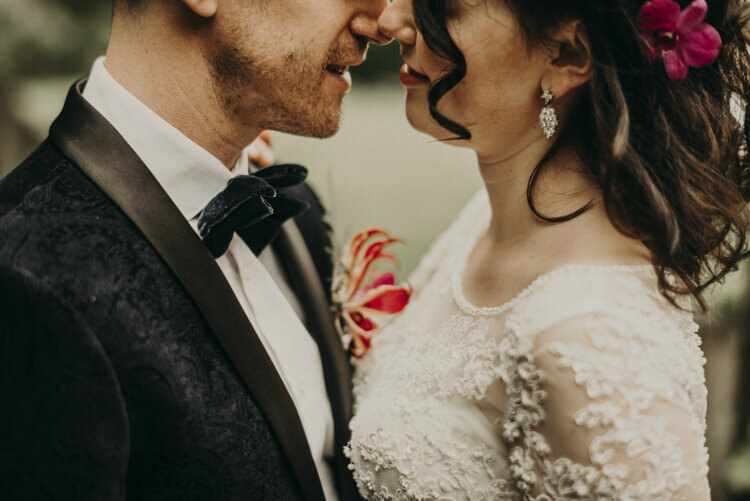 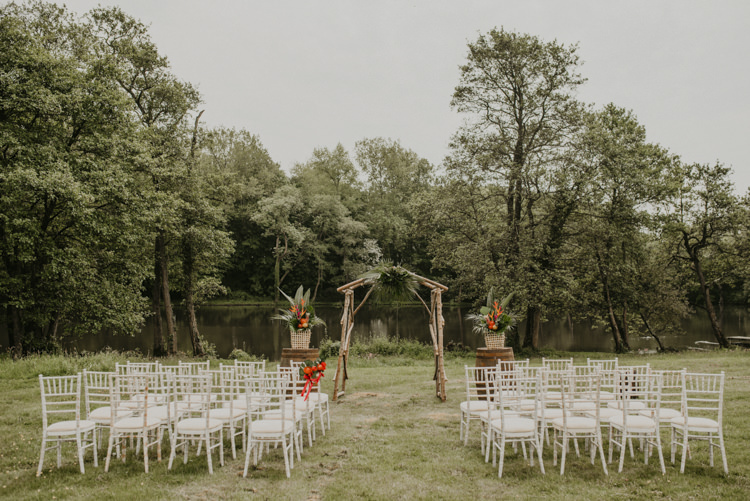 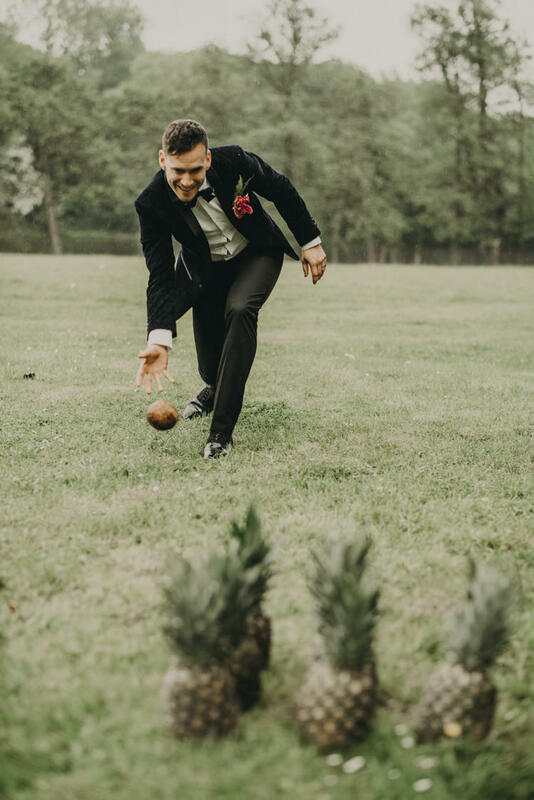 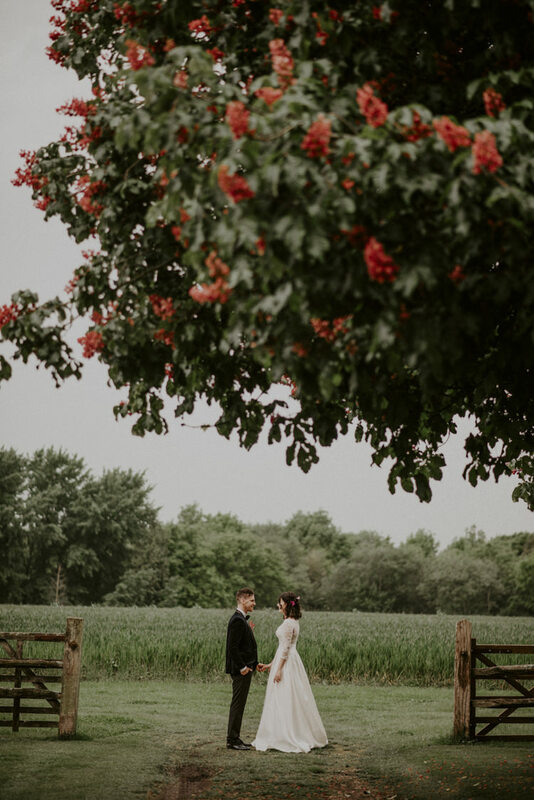 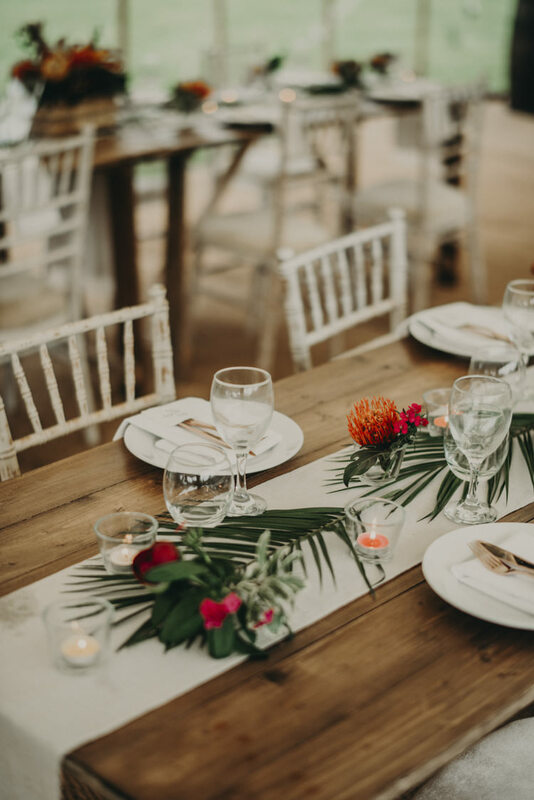 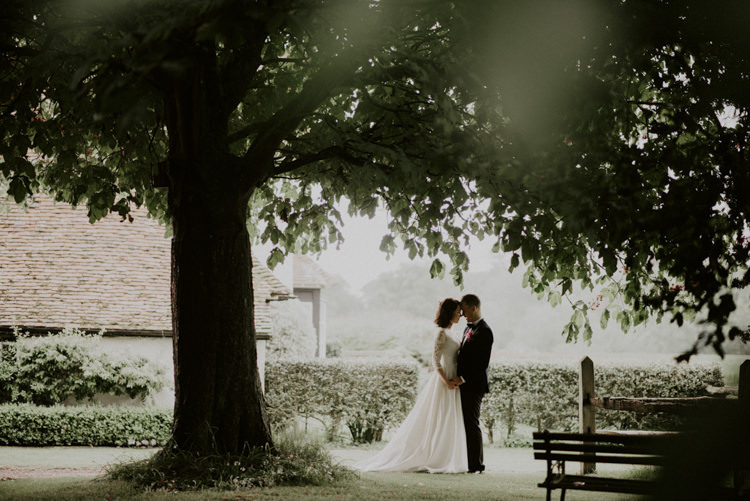 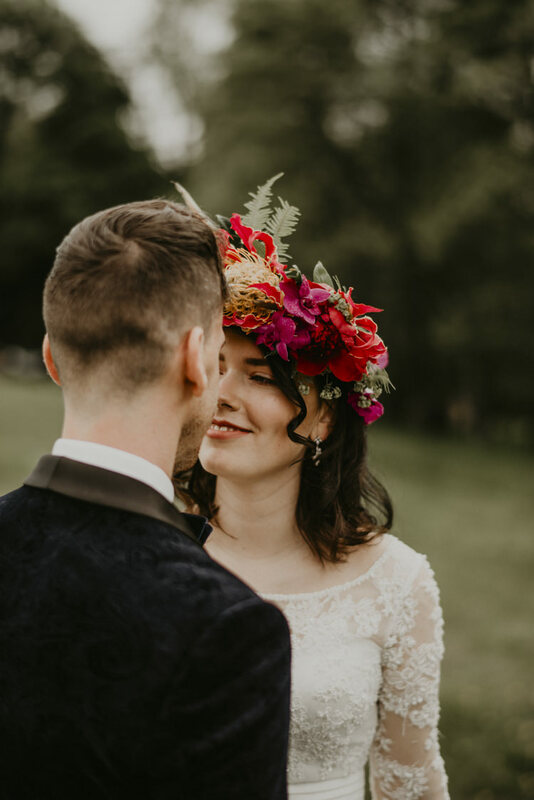 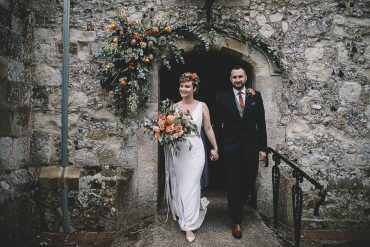 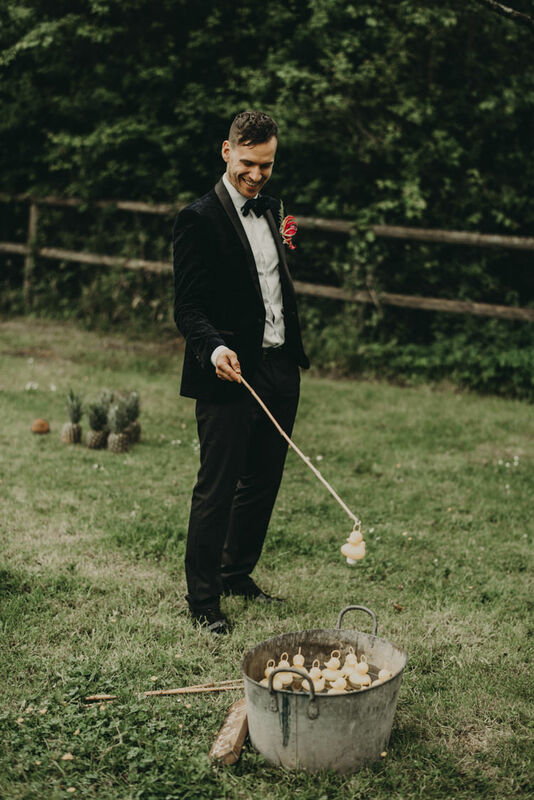 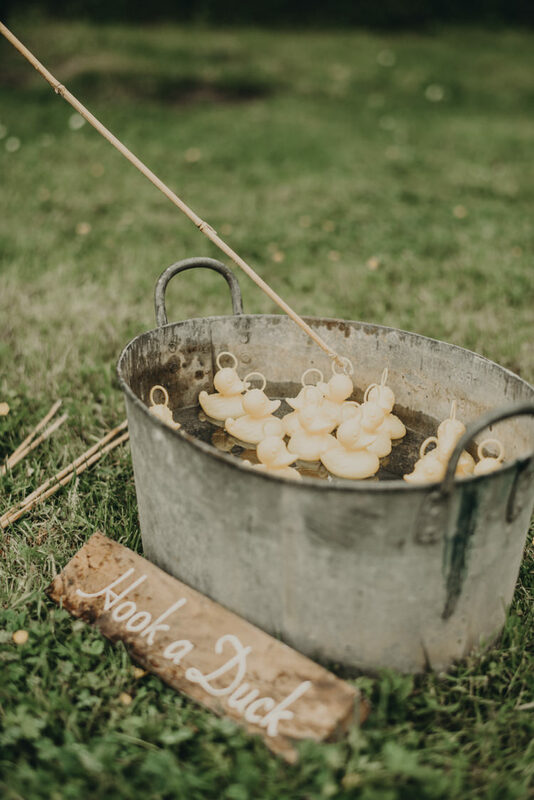 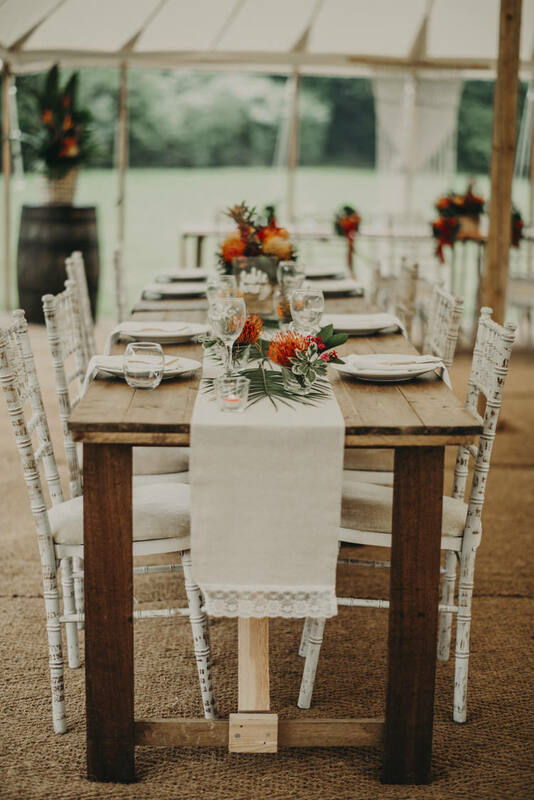 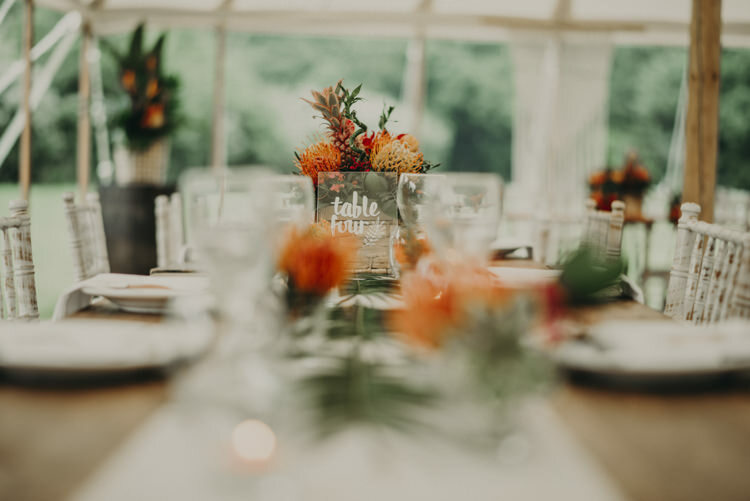 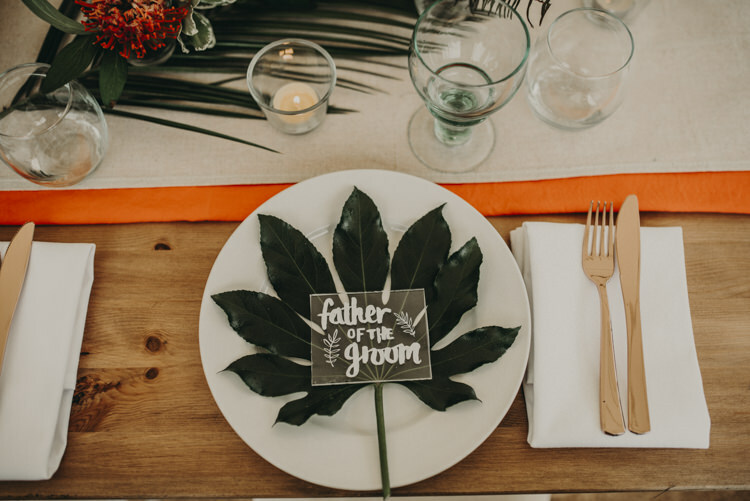 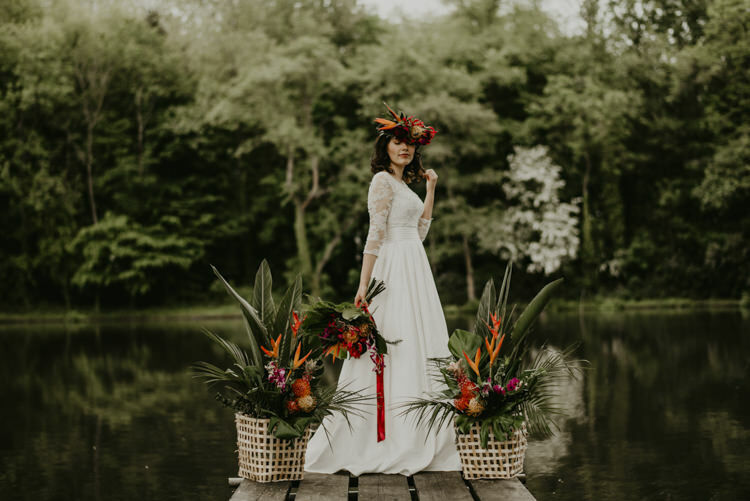 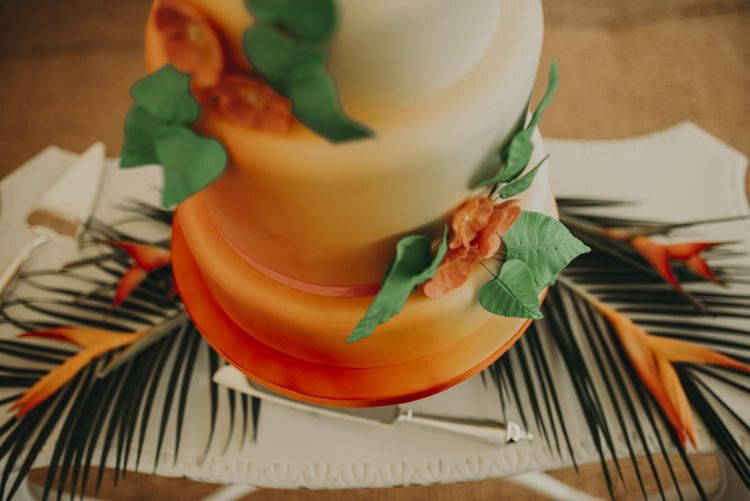 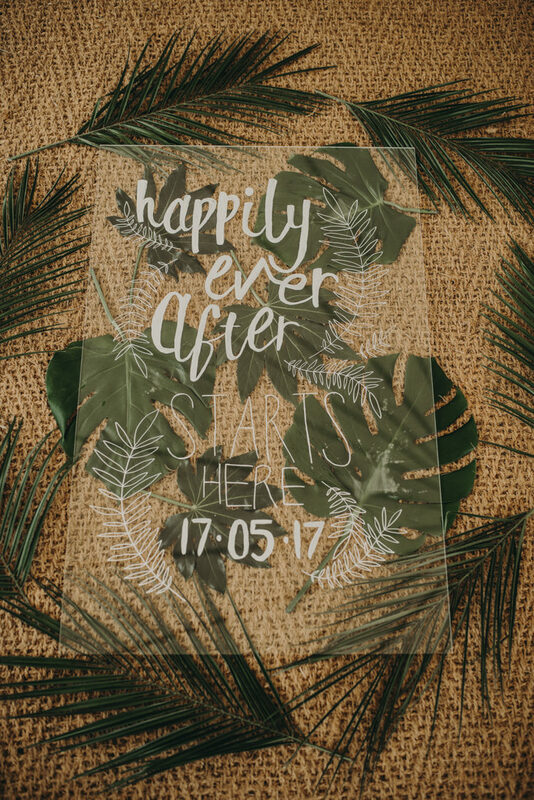 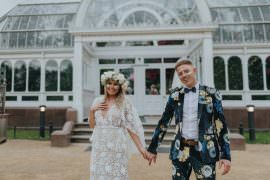 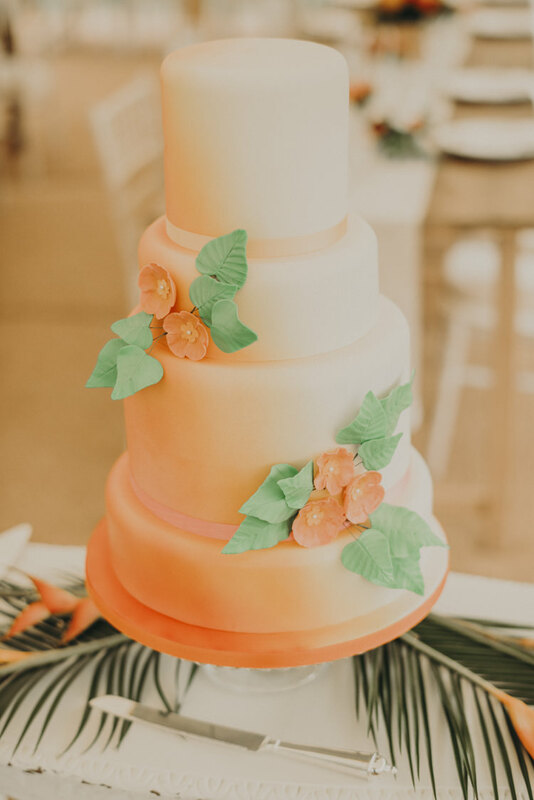 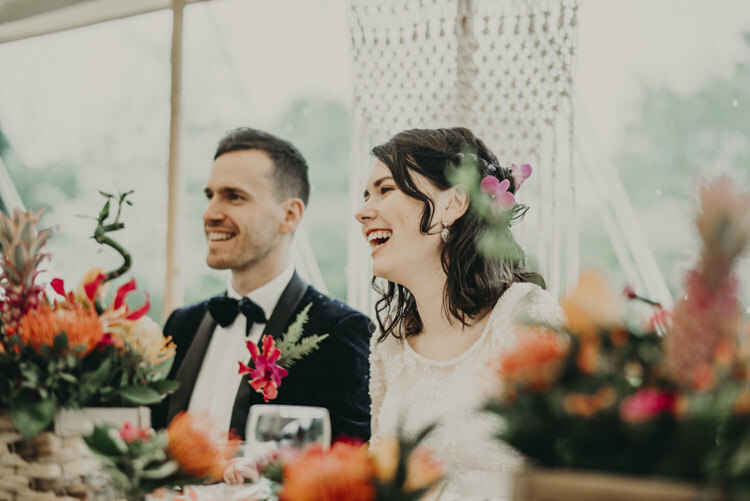 As a Wedding and Event Planner with a particular love for English Countryside weddings I wanted to create a styled shoot that would show off all the wonderful traditions that we’ve come to love from outdoor weddings but with a tropical twist. 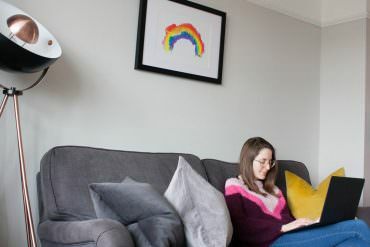 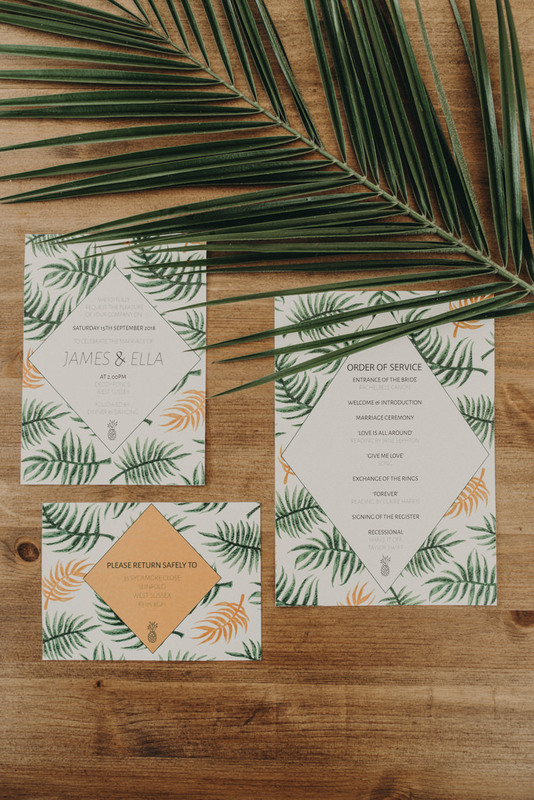 By introducing a theme consisting of bright tones throughout entwined with this years Pantone of greenery it shows it is possible to create a look that’s new and exciting moving away just a little bit further from hay bales and bunting. 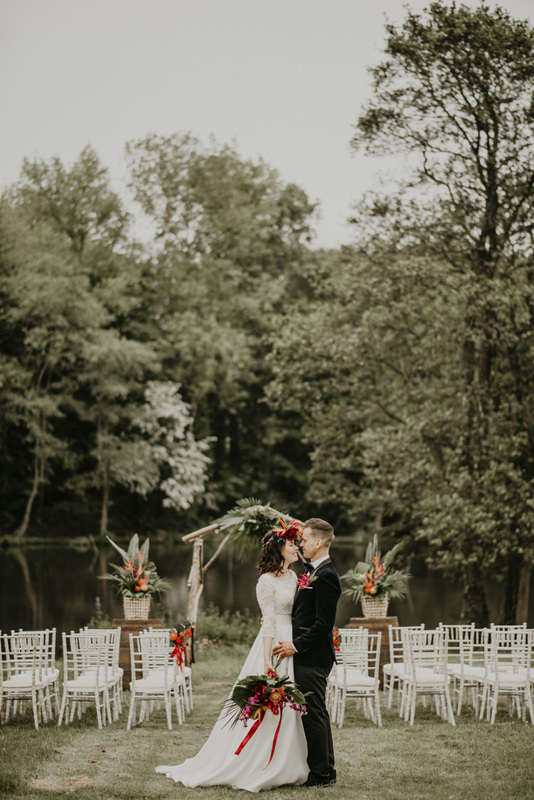 Our photographer Jacob Malinksi captured all aspects of our theme so beautifully with his romantic and sophisticated photography. 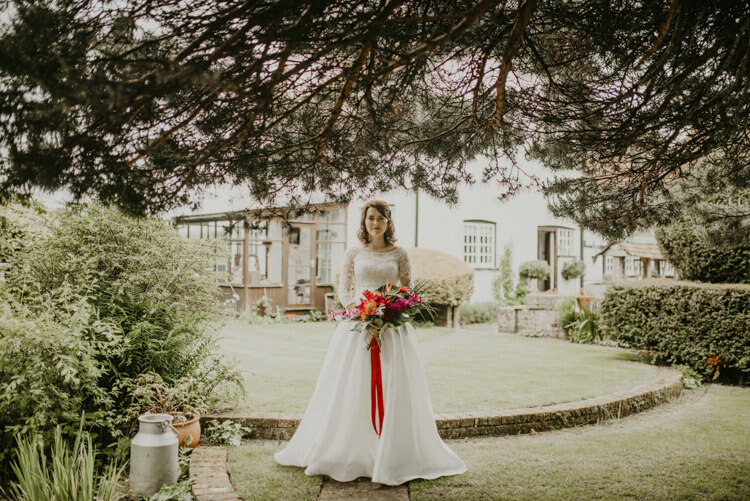 Paying attention to all the small details of the shoot but at the same time showing off the beautiful surroundings. 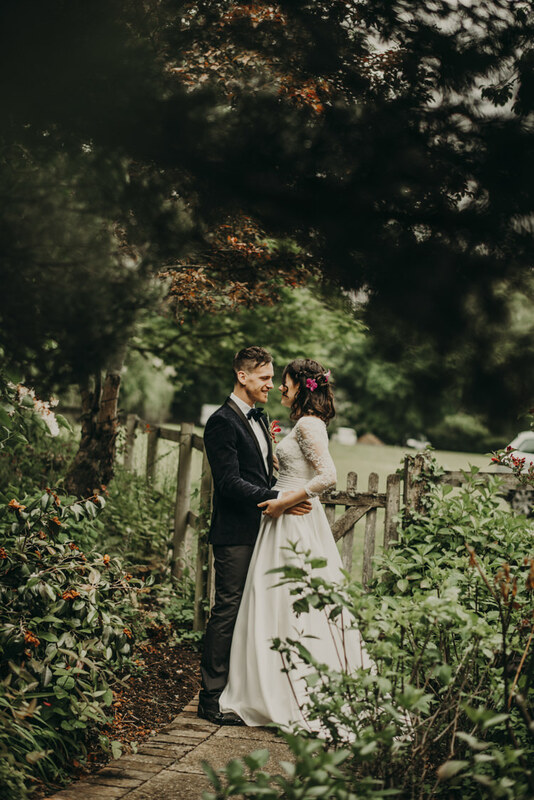 The venue for the shoot was a privately owned country home with the perfect spot overlooking the water for a marquee wedding. 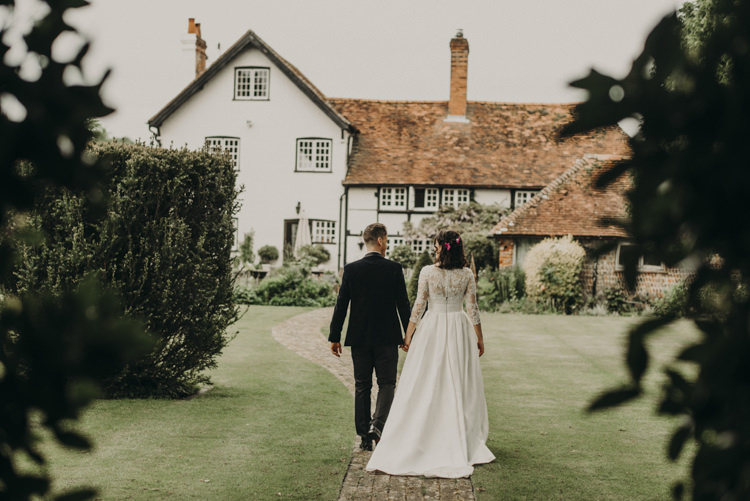 A former residence of ‘Winnie the Pooh’s’ author ‘A.A. 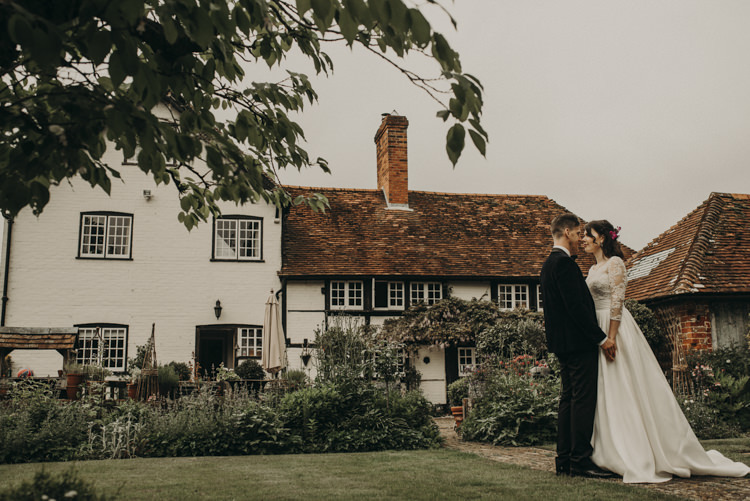 Milne, The Decoy is a hidden gem tucked away in the picturesque West Sussex countryside. 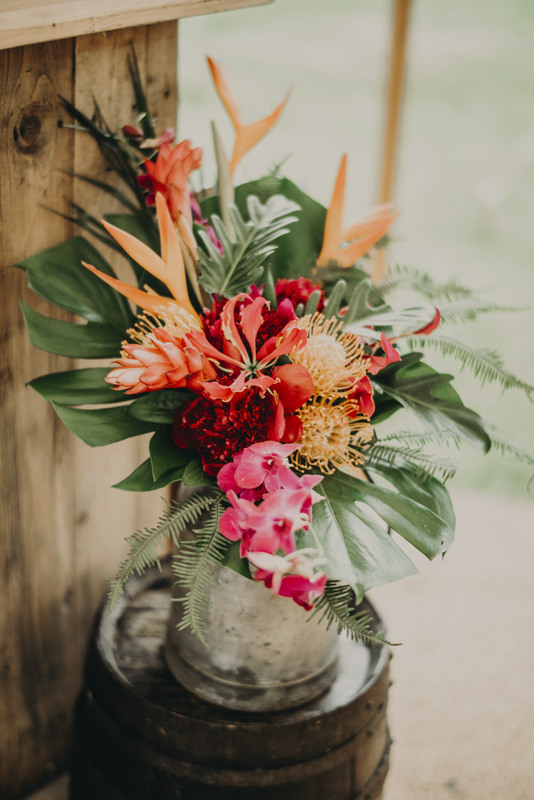 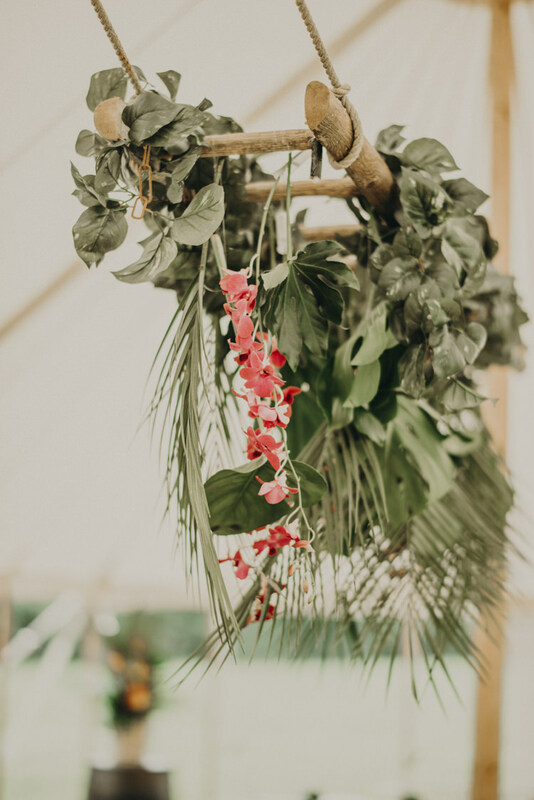 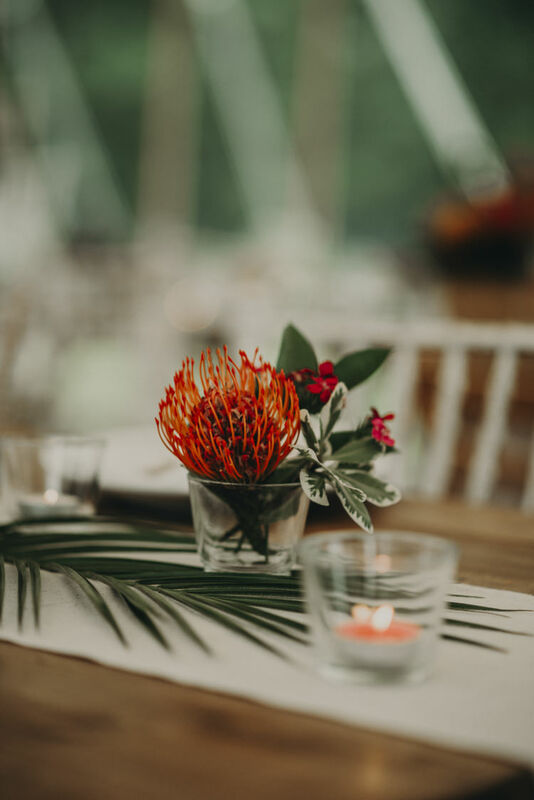 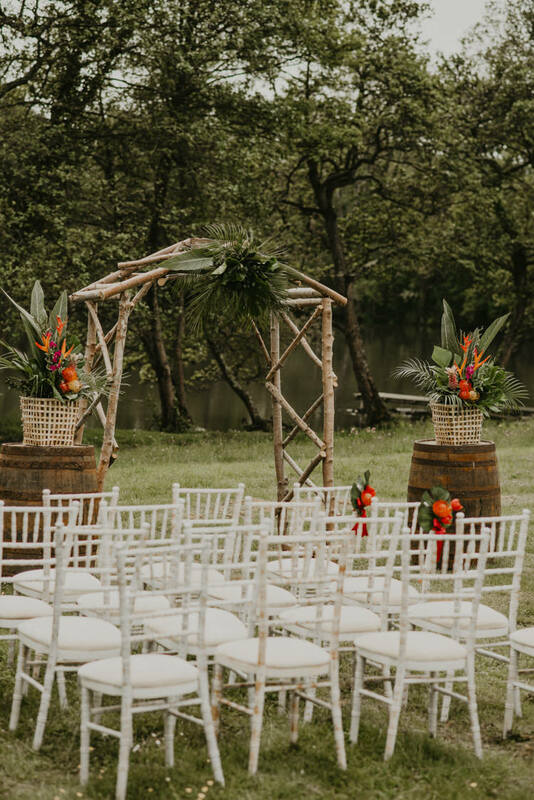 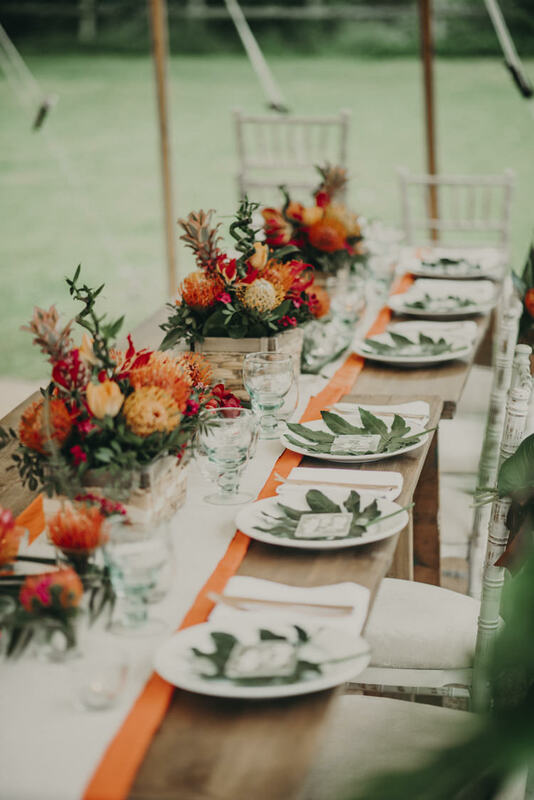 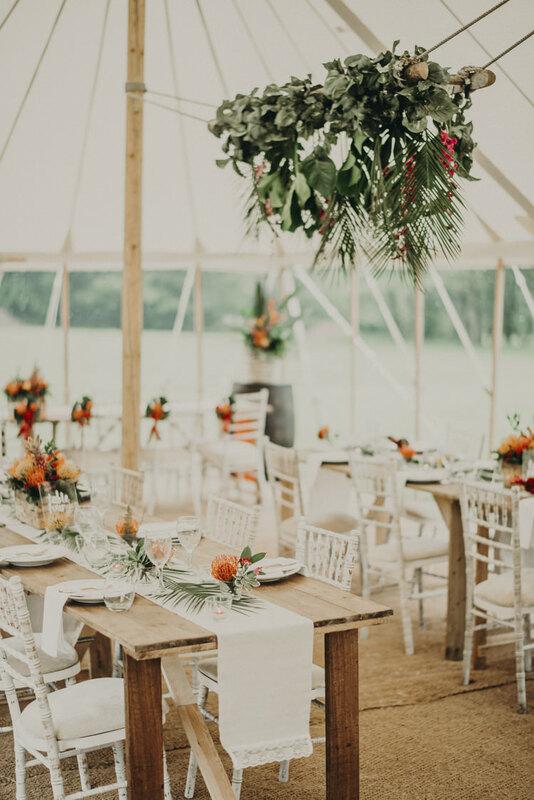 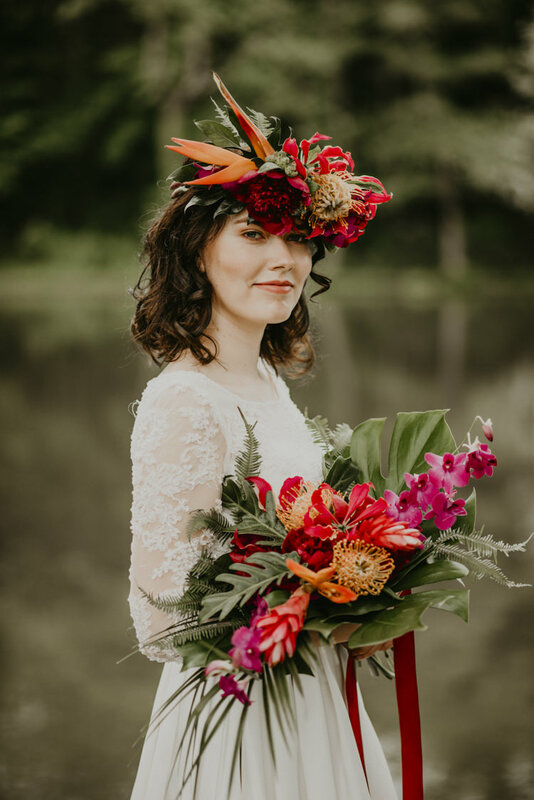 I was lucky to have such a talented group of suppliers on board; the talents’ of our florist, Katherine Bly, were so evident as her clever use of such vibrant flowers entwined with palms leaves and tropical foliage brought our vision to life. 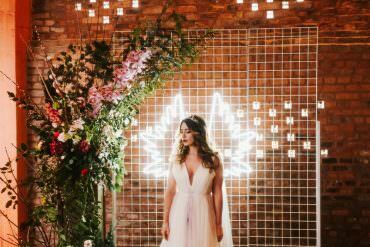 My personal favourite has to be the brides stunning flower crown along with the hanging statement piece inside our beautiful pole tent. 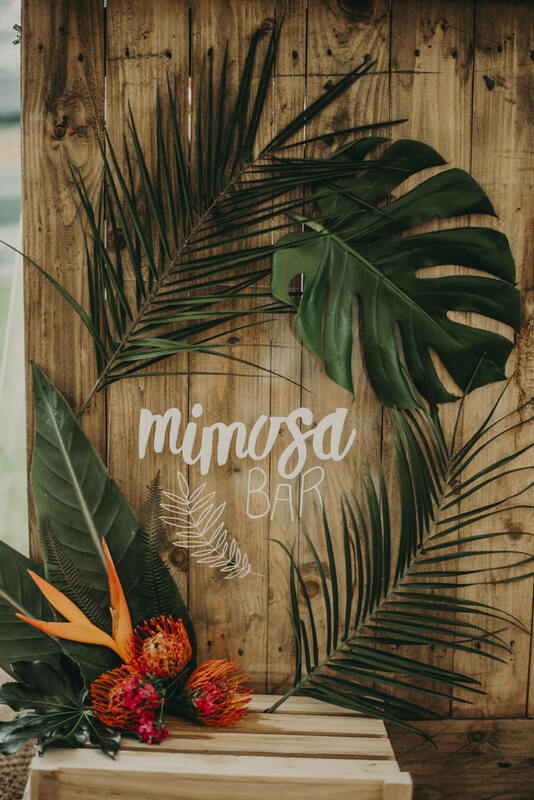 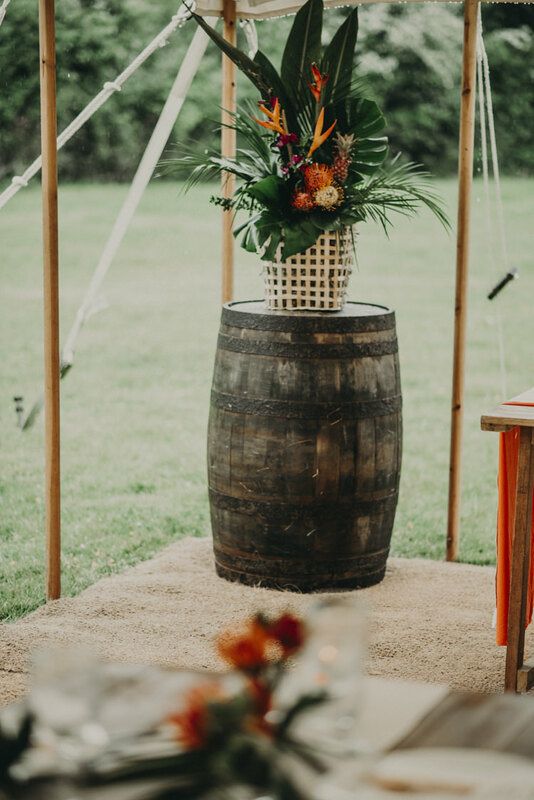 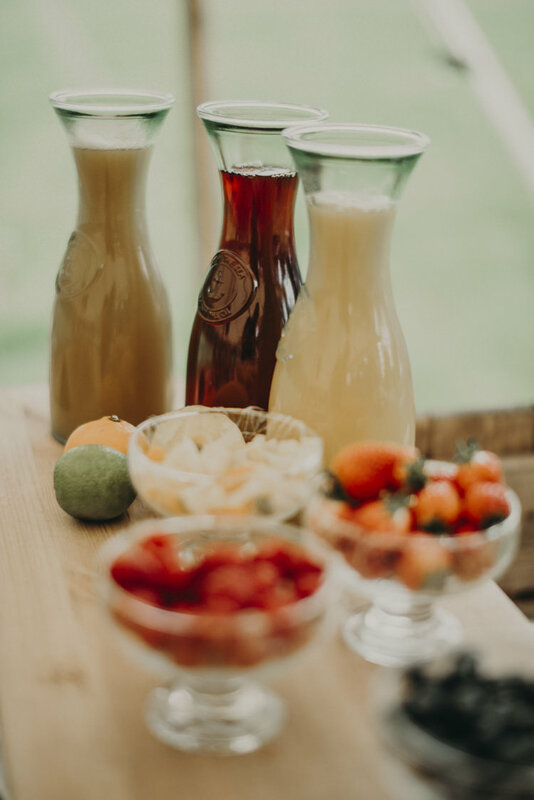 Our stylist Eloise also provided many of the props including her handcrafted archway and wooden bar on which we created a Mimosa Bar with fruit juices and fresh berries not to mention a few pineapples. 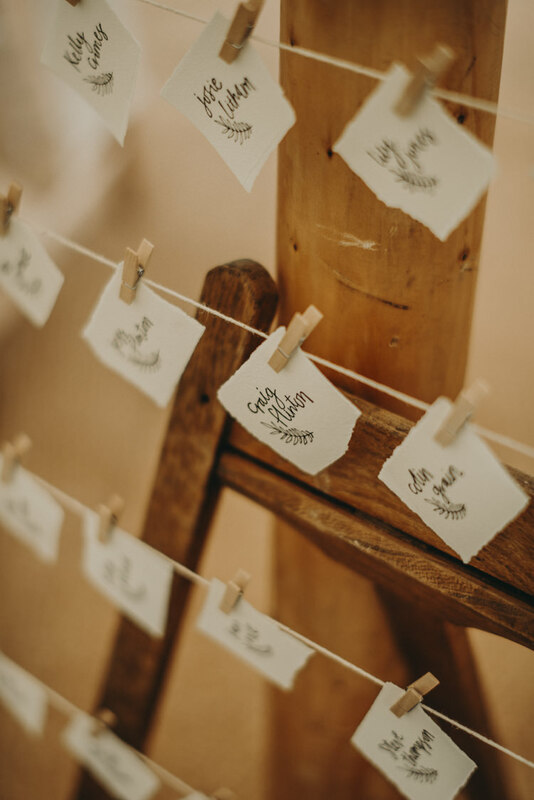 For the stationery, You Make My Dreams came up with the idea of handwritten acrylic signs for the table numbers and top table name plates as well as a beautifully hand painted name tags on ripped edged paper. 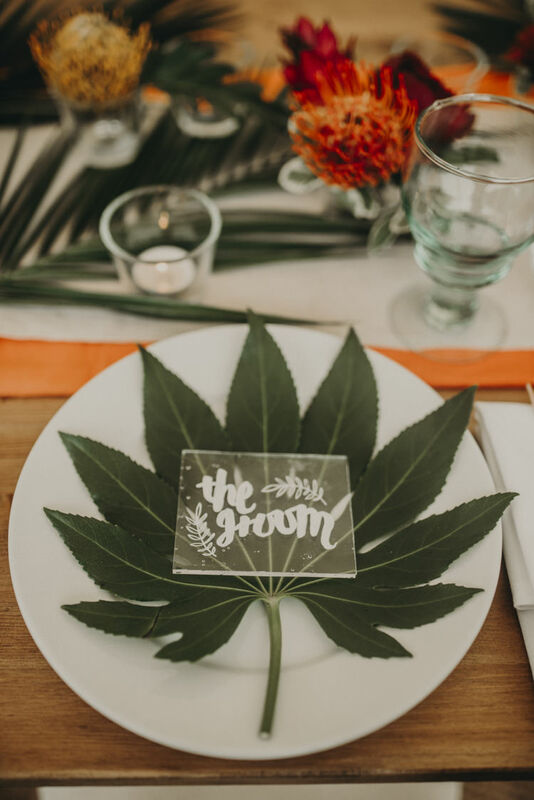 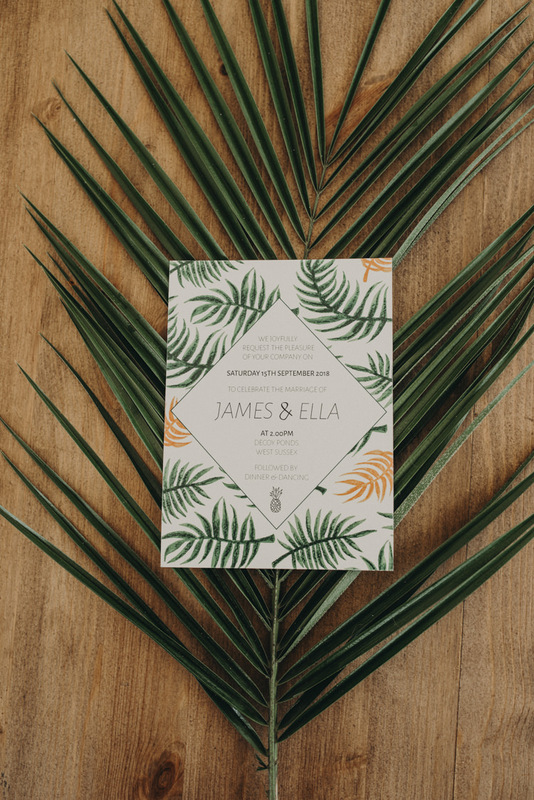 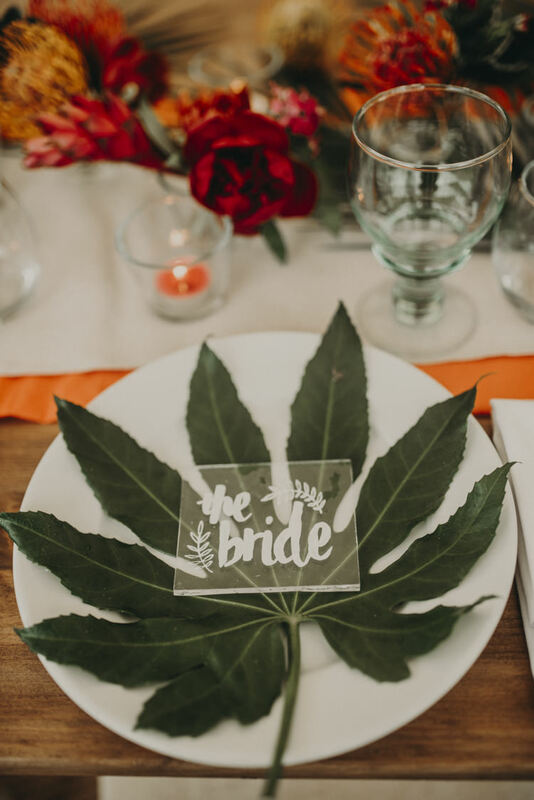 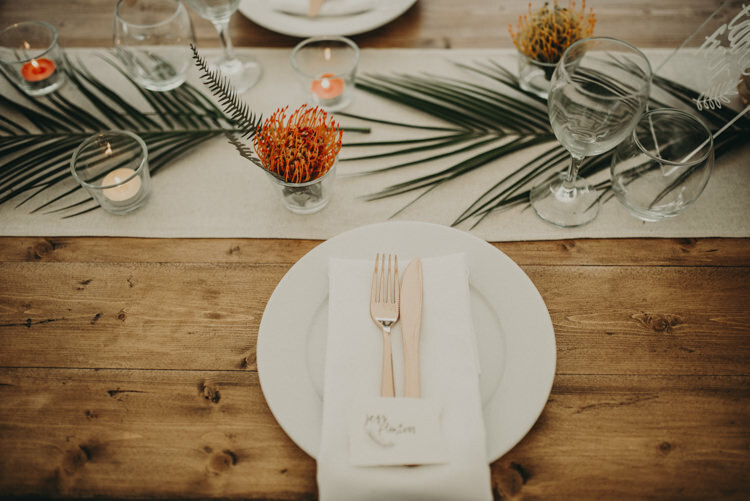 The simplicity of the palm leaf and pineapple stationery complimented our theme perfectly. 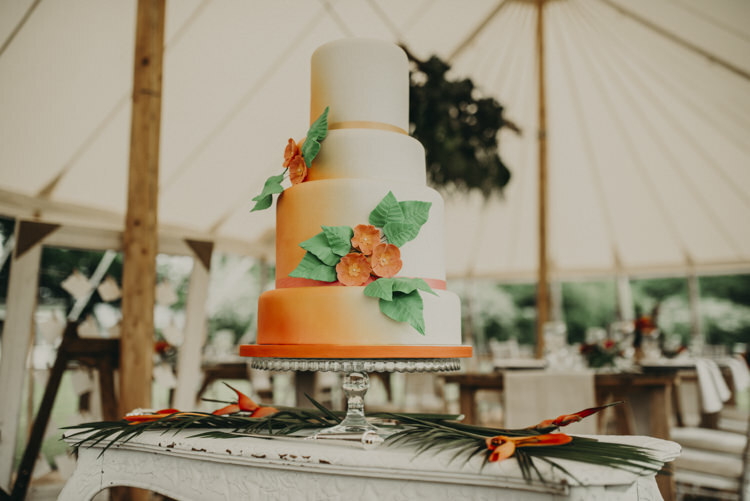 The striking colours of the sprayed cake with its delicate flowers was created by local cake designer Kasserina Cakes and looked stunning inside our tent provided by Tents N Events. 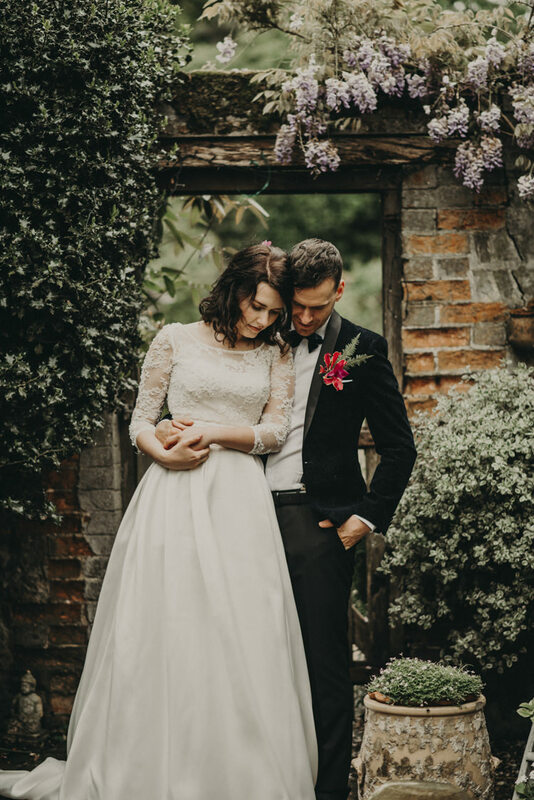 We were so grateful to have the perfect couple to model our shoot as Stephanie and Ben had recently got married themselves. 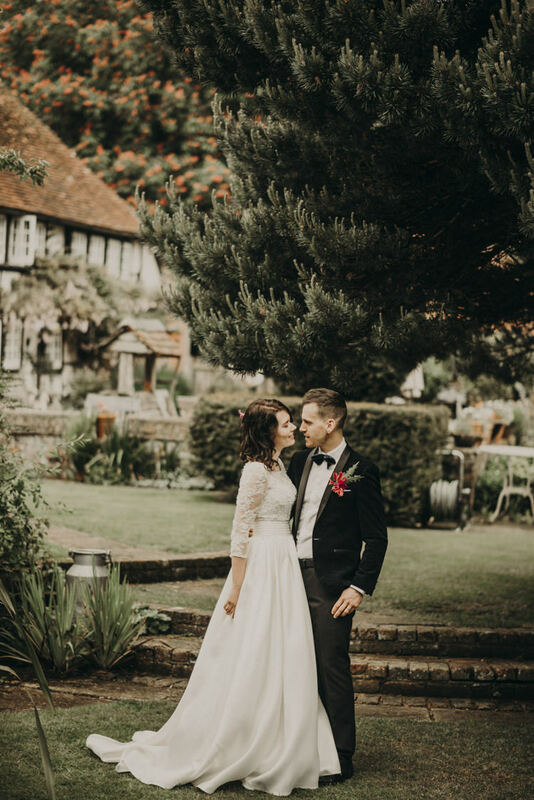 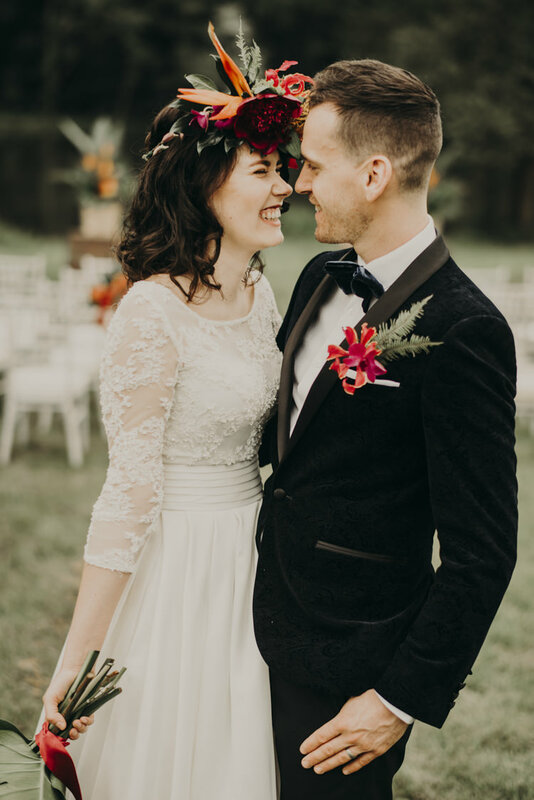 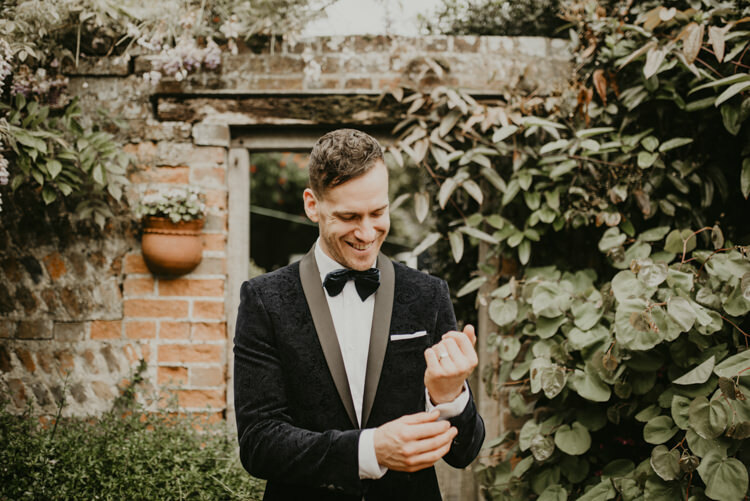 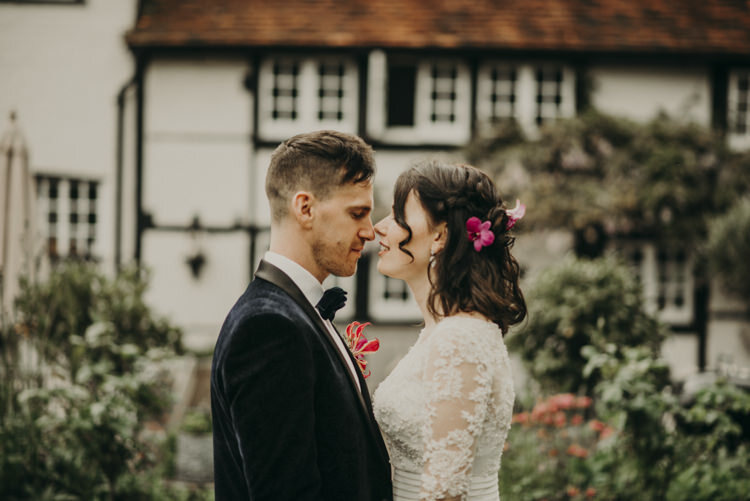 Stephanie’s dress was by designer Diane Harbridge and Ben’s fabulous suit by Moss Bros. We particularly loved the detail on his velvet jacket against his orchid button hole. 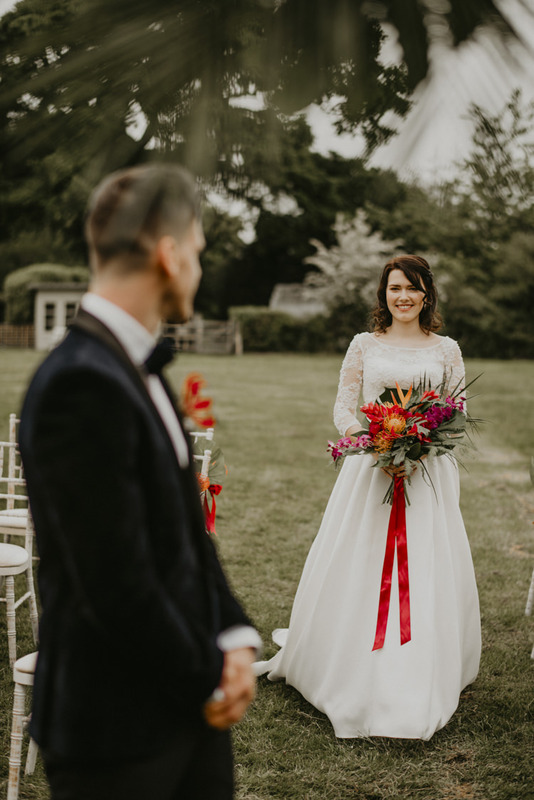 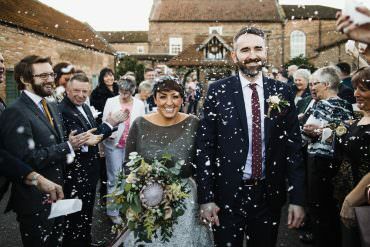 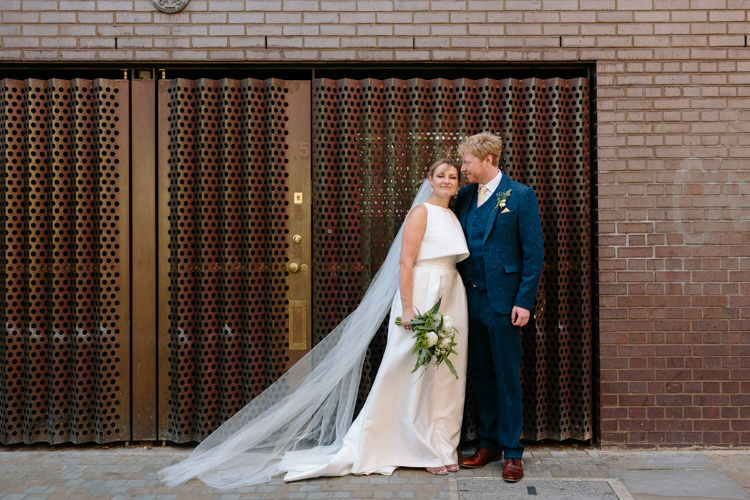 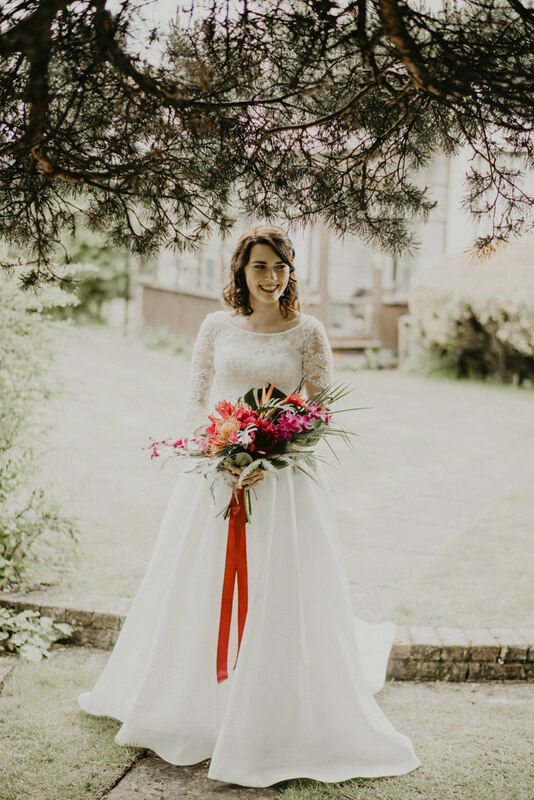 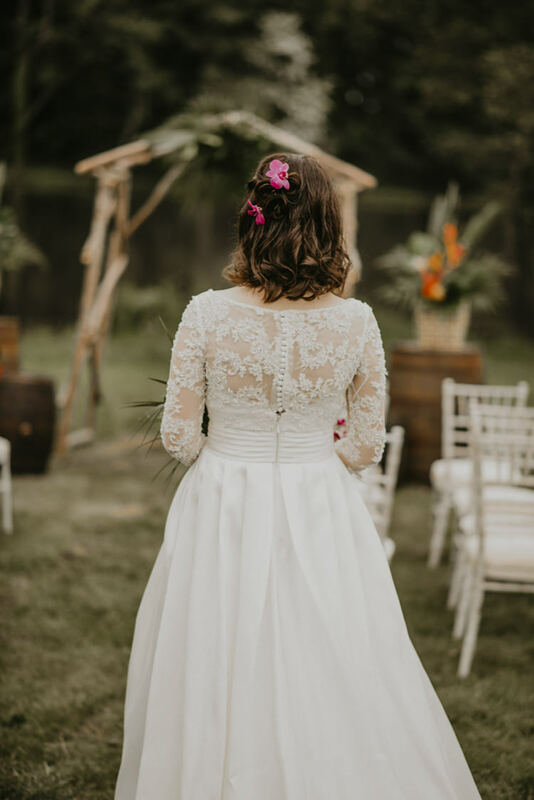 Stephanie’s hair and make up was simple yet effective created by Alicia Sandeman’s hair and make up team and perfectly matched her elegant look. 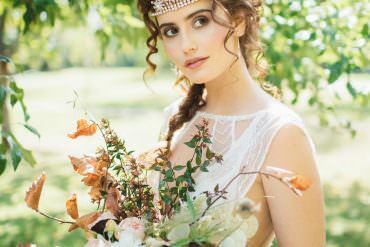 Wow wee, what a splendid editorial shoot, full of wedding ideas and inspiration.